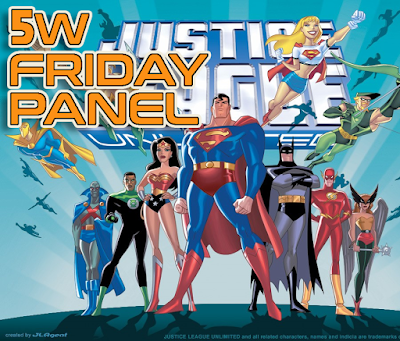 Every Friday, the Fifth World will host a virtual panel session on a topic of the week. This week's subject: the DC Animated Universe. Batman: The Animated Series debuted twenty-five years ago this fall, launching what would become the DC Animated Universe. What are some of your favorite DCAU episodes? I’m a firm believer that anyone looking to adapt the DC Comics characters to another medium should follow one simple rule: do it like they did in the DCAU. This episode sets the precedent with a series of smart changes that showcase the producers’ fidelity to the spirit of the comics without shackling them to any continuity but their own. Keith Damron only wrote two scripts for Justice League (this and the second-season “Hearts and Minds”) but they were both winners. Each one turns the spotlight on a single Justice Leaguer, delving into their past and putting them through the wringer while raising the stakes with a plot that ties into the larger DC universe. This one focuses on J’onn J’onzz but the real star is the demon Etrigan (building on his appearance in The New Batman Adventures). He gets to play the bad angel sitting on the Leaguers’ shoulders, telling them things they already know and don’t want to hear as J’onn is pulled deeper into Morgan le Fay’s lies. Such a good episode in the relationship between Batman and Wonder Woman. Mileage may vary on your preference for a Wonder Woman/Batman combo but they work as a good duo with flirting in this series. Batman respects her power and Wonder Woman is the best when she is ribbing him. WIth all this background and will they/won't they, Batman will stop at nothing to reverse Circe’s curse on Diana, particularly with the awesome aid of Zatanna.